What corporate America can learn from Skittles' response to Donald Trump Jr.
Skittles could teach a master class in public relations. Lesson 1: Be a human being. Lesson 2: Resist the temptation to promote your product at all costs. 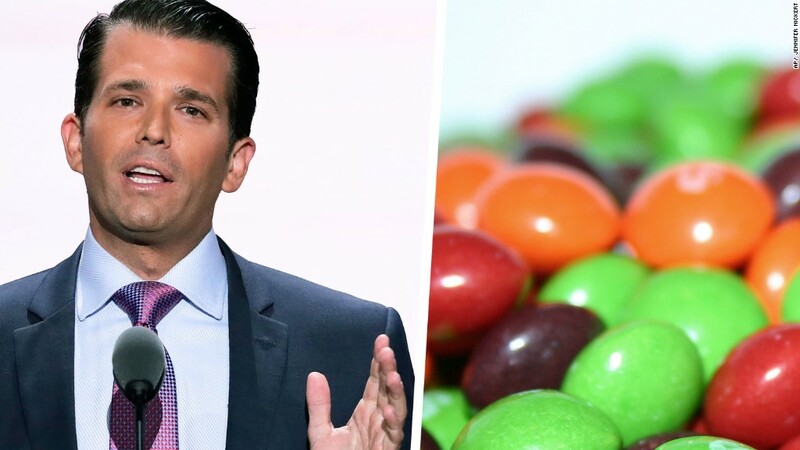 The Mars company, which makes Skittles, won praise Tuesday for its response to a tweet from Donald Trump Jr. that dragged its signature colorful candies into the political fray. The son of the Republican nominee for president caused a stir on Monday when he posted an image comparing the Syrian refugee crisis to a bowl of poisoned Skittles. I hope the Skittles social media & PR people have an unlimited supply of Skittles. Mars' decision to inject humanity into its response might seem an obvious way to deflect controversy -- but you don't have to look far to find companies that have tweeted their way into trouble instead. Last year, Clorox (CLX) was forced to apologize after it seized on a batch of new emojis from Apple as a marketing opportunity. It happened right after Apple released racially diverse emojis, including faces with brown and black skin. 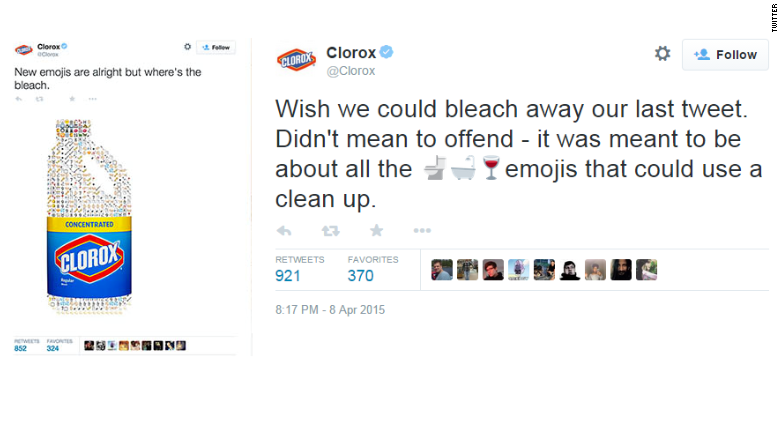 Just the wrong time for Clorox to wonder why there wasn't an emoji for bleach.